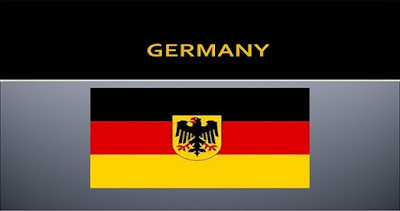 How to Get Germany Immigration Visa. Germany is one of the top destinations for immigrants from all over the world drawn by the work hard play hard ethic. However getting a visa is not always as simple as you might hope unless you are from the EU/EEA or Switzerland. Citizens of other countries must first obtain a work permit which will give them the right to live and work in the country and certain eligibility criteria must be met. This article looks at how to get Germany immigration visa and the essential criteria that your application must meet in order to be accepted. Anyone who is a citizen of the EU/EEA or Switzerland is able to enter Germany without having to apply for a work visa and then apply for a residency permit once they have arrived. Citizens of other countries must first apply for a work permit before they arrive in the country. Any applicant who is coming to Germany to live with a relative who has already been granted permission to work in the country will also be granted a work permit however in other cases, an applicant must either possess specialist skills or high qualifications in their field of expertise or must be able to prove that the position that they are planning to take cannot be filled by a German or EU citizen. Preferential permits will be granted to those who possess the high level skills that Germany are hoping to attract including engineers, IT specialists, academics and natural scientists. This visa can only be applied for if you are coming to take a job that cannot be filled by another EU citizen. You are eligible to apply if you already have a firm offer of employment from a German company as well as a vocational qualification and you must produce evidence of these in the form of an employment contract and a qualification certificate. Usually, you will be granted a permit for a year and this may be extended should you stay in your position. After a period of 5 years it is possible to apply for a residence permit which allows you to stay indefinitely in the country. You are eligible to apply for this type of permit if you have just graduated from a university abroad and would like to spend 6 months in Germany looking for employment. You must be able to financial provide for yourself during that period and will not be permitted to do any work of any sort during your stay. Should you find suitable employment during that time frame, you can apply for an EC Blue Card which gives you certain rights and benefits however you must meet minimum income criteria. If you have specialist skills and can earn more than 84,600 EUR per year, you can apply for this type of permit which gives you and your family permission to live in the country indefinitely. You will however require the permission of the Federal Employment Agency and a firm job offer. If you are coming to the country to undertake an academic, professional or vocational course of study, you may be eligible for a residency permit as long as you have been approved by the Federal Employment Agency. This allows the holder to work for up to 10 hours a week and the permit lasts for up to 2 years with the possibility of extension for employment seeking purposes for a further 12 months. Should you wish to come to Germany in order to set up a business, you can apply for this visa type which is valid for 3 years. You must however prove a need and demand for your business in the country and that you can finance it yourself either independently or by a loan. You should also be able to supply a business plan and have experience in the industry. If you have a contract with a BAMF recognized research institute you can apply for this visa type. This is a 1 year visa allowing you to undertake employment within your field of research.